Dream of starting a specialty coffee shop, but don’t have the money or experience required to make it happen? We have good news for you! Bryan Reynolds, CEO and Co-Founder of Anthem Coffee & Tea, a six-location independent coffee business in Washington offers the following advise to aspiring coffee shop owners with lots of passion, but limited resources or experience operating a small business. How to Start a Coffee Shop without Money or Experience. In a recent interview with Food Empire Pro, Bryan shared that if his family had to start all over again in the coffee business this is the four-step plan they would follow. Best of all this is the perfect gameplay for someone that you doesn’t have the cash needed to start a coffee shop right away. 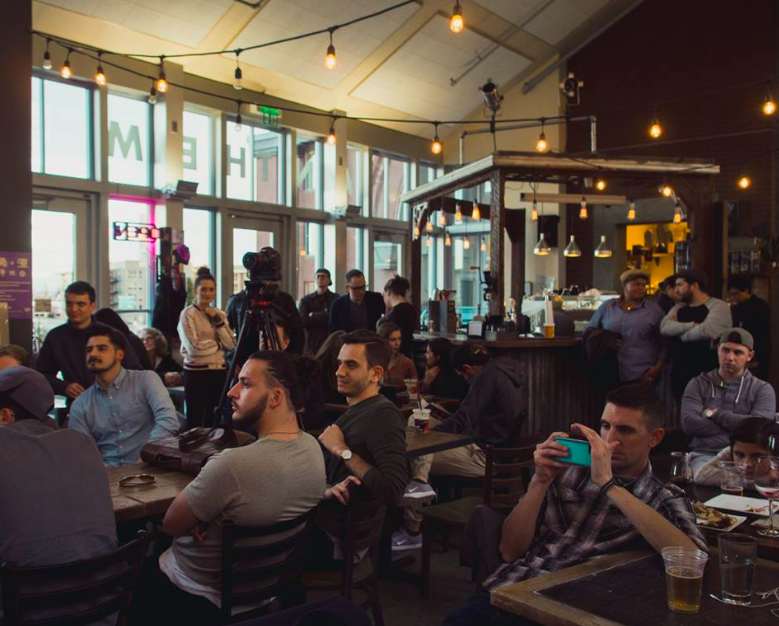 If you’re determined to start a coffee shop but have limited resources, we whole heartedly believe this is the most practical startup plan to follow. Even if you have the funds to buy coffee shop outright, you may not want to. 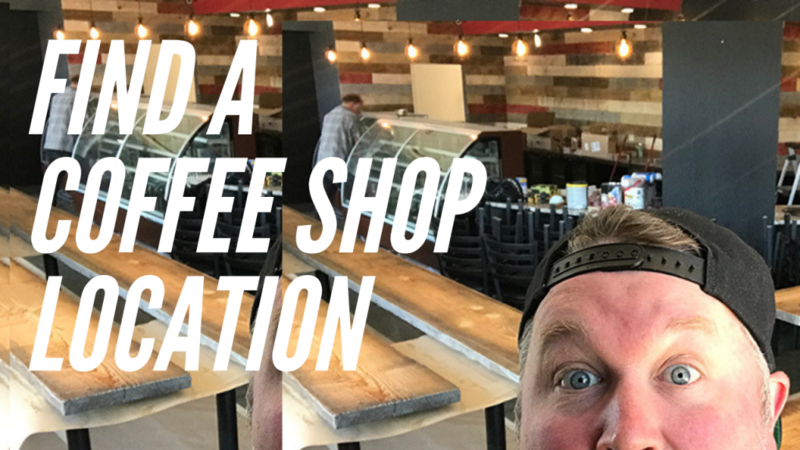 This four-step plan may be a superior to starting with a coffee shop location outright since it builds brand, establishes relationships, gain experience, and helps market the business in the process. Still determined to start a coffee shop in spite of the financial challenges? Continue reading the four-step progression below for this easy to follow plan. Question: What do you think is the biggest startup expense associated with launching a coffee shop? If you answered getting a retail space (AKA the brick-and-mortar coffee shop location), you’re absolutely right. Converting the retail space to a coffee shop, setting up the plumbing, buying furniture and all the equipment will cost a fortune. 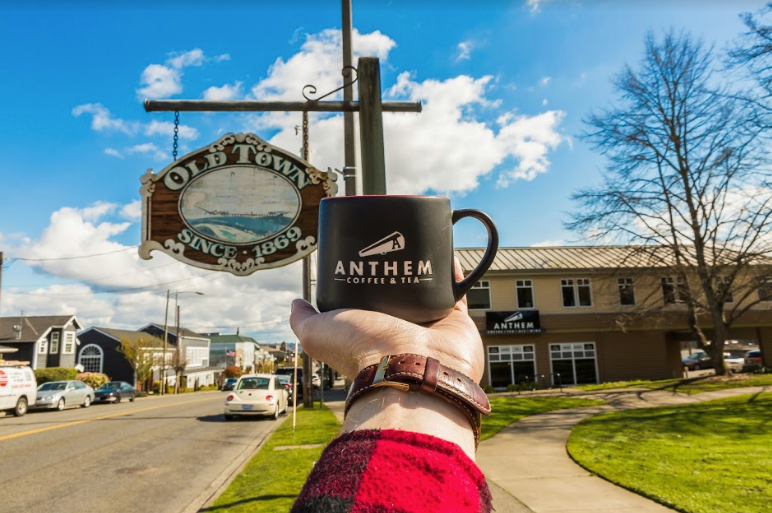 The total cost for the first Anthem Coffee & Tea location was roughly $360,000. Yikes! But if you stop to think about the essence of what you’re selling, you don’t need much to start generating some initial sales and build momentum. You’ll need clean water. You’ll need roasted coffee beans. You’ll need a commercial-level coffee maker. Finally, you’ll need a cup to serve the beverage. That’s literally it! If you’re an avid at-home brewer already, you might already have all the supplies you need to get started right now. This is the bootstrapped way to start a coffee business! Here are some simple approaches you can use to start generating sales quickly without a shop, truck, or any other major investment. What’s ideal about this approach is that you’ll start making a little bit of money quickly while getting to practice making coffee and serving customers. Farmer’s Markets: Some weekly farmers markets allow you to setup a tent and table to sell your specialty coffees for less than $30 per event. Many of you would be able to recoup your vending fee in just 15 cups of coffee or less. While you’ll still need to buy or borrow a vending tent and tables for most these events, it’s a low-budget way to get started. Catering: Another terrific way to start out is to bring your coffee to a small catering event. Make your first catering event as simple as possible. Start by doing your first gig at a friends house just to get your name out there and gain experience. If you make mistakes don’t worry. Learning from them is what’s most important at this stage. Joint Venture: If you enjoy drinking craft beer you’ve seen joint ventures before. These are usually “collaborations” in the craft brewing industry, but it’s all the same. Breweries participate in these collaborations or joint ventures all the time because it helps both companies reach a new audience of people that may not otherwise know about them. These same types of joint ventures or collaborations can be a hugely beneficial to you as a coffee business owner too. All you need to do is find a group or business that you could help through coffee. Some ideas for easy joint ventures is through fundraising efforts in your community. Non-profits, schools, churches, and sports teams are always in need of funding. You can help them achieve their funding goals through your coffee as the vehicle. By offering to sell coffee at events sponsored by these organizations, you will have an easy, profitable, and grateful market to tap into. You’ll also feel good at the end of your work day knowing that your business is giving back to the local community in addition to making a profit. Churches: Offer to serve coffee and easy breakfast items (donuts, croissants, bagels and other pastries) with 50% of the proceeds going to the church. Church goers will consider this as a sort of donation when they make a purchase and can work very well. Sports Teams / Events: Offer to serve your coffee at high school football games, baseball games, volleyball games or anywhere else a crowd is congregated. Split your sales revenue with these groups and you’ll be surprised at the number of events you’re invited. Businesses: Other businesses can be terrific opportunities to joint venture with as well. If there’s an independent bookstore in your area or an antique store with a lot of foot traffic can be yet another opportunity. One thing to keep in mind is that you can make joint ventures an easy sell for other business owners or charities so don’t stress out about reaching out to these people by email or phone to request a collaboration. Email works better for making initial joint venture requests because the information can be easily forwarded to the right contact person in the organization. Keep your email outreach straightforward and professional. Let the organization know you are a coffee business, would like to serve at an upcoming event, and that you would like to split revenue. Let these joint venture prospects know you’ll take care of the setup, bring the coffee, pastry, and exceptional customer service. Then at the conclusion of the event, you’ll cut them a check for an agreed upon percentage and be on your marry way. Propositions like this are a no brainer for a business owner or charity. As long as you don’t give people a reason to say otherwise and appear professional, you’ll get a “yes” to your offer after a few tries. 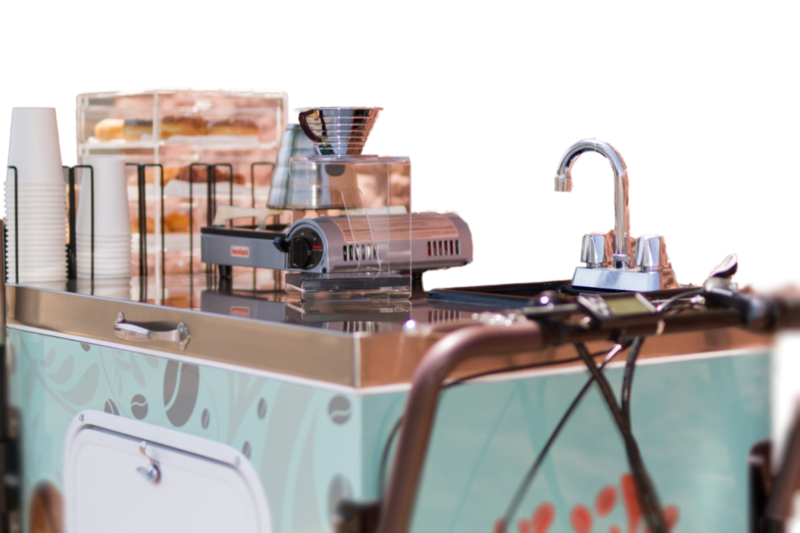 Depending on the profitability of the first events, you could be investing in a coffee cart within a few short months months. Coffee carts are extremely affordable and can be purchased for just a few thousand dollars so it won’t take you long to raise the money needed for this stage. One example of a low barrier to entry option is this push cart from Bike and a Box. This affordable unit allows you break into the coffee business for under $3,000 all in. There are some nifty optional features like a tap that can be added for cold brew coffees and space to serve offer simple breakfast items like muffins or donuts. Coffee Push Cart from Bike and a Box. Considering the low cost associated with this startup option, you could literally pay off this entire investment in less than ten events. If you are able to secure a high-value catering event at a wedding you could pay off your entire investment in just 1 – 2 events. Beyond selling coffee and pastry, you can get creative with the branding of these push carts to generate even more income. If you are able to serve coffee and desserts at a wedding reception, you could replace the signage with the name of the bride and groom. This approach can work equally well at corporate catering events too. In these scenerios regular signage could be replaced with the sponsoring company logo. Little touches like this not only make your business memorable, but it will generate future business too. A bride and groom can’t help but take photos with a push cart that has their names engraved. Employees at big corporations are equally likely to do the same and share those photos on social media. Creating memorable experiences will keep a coffee business growing. Even if you only serve average coffee, but are able to provide these unique touches and good customer service you will be profitable. This is a people business and doing this will make customers happy. Once you’ve had consistent success in step two, it’s time to take an even bigger leap by moving into a coffee truck or trailer step of the plan. Step three is going to require a considerably larger investment and committment than steps one and two combined. This is the stage where you need to get even more serious about the business. But if you have made it to this phase, you’ll know exactly what you need to do to build a coffee successful business. By the time you successfully complete steps one and two there should be no debt in the business. Due to the low costs it will be relatively easy to turn a profit. Before you enter step three, start saving some of the cash earned to be invested into purchasing your first coffee truck. Drica’s Favorites Specialty Coffee Truck. Built by M&R Specialty Trailers and Trucks. 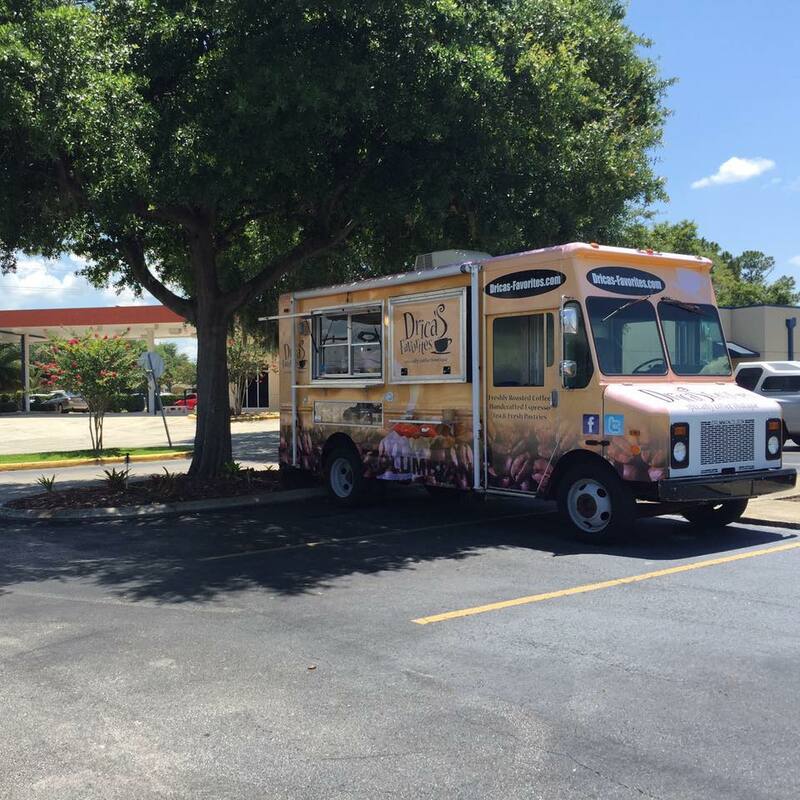 Having a coffee truck will open up a whole new set of opportunities for the buisness. You’ll be able to start doing larger catering services. You can begin to entering food truck roundups and festivals that you were previously excluded. You can also start to go bigger in this stage. If you choose, you could expand your menu to serve a wider variety of drinks or food items since you’ll have more space and capacity to work larger events. The cost of a coffee truck will run between $33,545 – $80,000 on average. This price would include Espresso maker, coffee brewer, sinks, wrap, and other basic equipment built into the unit. If you wanted to things like televisions to display your menu or other premium features you could end up spending even more. Making the leap to a mobile coffee truck is a big deal. There more costs, but bigger opportunities as well! You’ll be playing a much bigger game on the truck than you’ve ever been able to do before. In step three, you might even hire a part-time employee or two to assist in the operations. Take advantage of this time period when you have a smaller team to work with. Get to know the people you work with and if you find a rock star employee, do what you can to keep them and make them happy. When you get to the point that you’ve fully paid off your coffee trailer or truck, you can begin planning your move to step four. Busy afternoon at a coffee shop. You’ve come a long way from catering birthday parties for friends and asking to serve at churches. But all the work has been worth it. You’ve proven yourself. You have a customer base of people that love what you do. You understand how the coffee business works. It’s time to move to the next phase and become the owner your dream coffee shop. Getting to step four will realistically take 1 – 2 years even if you’re on the fast track. A more common time frame would be five years or more to accomplish these four steps depending on your personal situation and the amount of time you can dedicate to the business in the early days. The fast track or slower path toward owning a coffee shop is completely fine! It doesn’t matter how long it takes as long as you get to your ultimately destination and are enjoying the process of building a business. You get experience running a successful coffee business. You are able to document to others (investors, loan officers) that you are deserving of investment. You will build a loyal customer base before opening the retail coffee shop location. This is huge. This journey you’ve taken will be better than any other resume for people that will give you access to the money you need to start a coffee shop. You’ll have a proven track record and the financials that prove to these individuals. In short you’ll be the perfect person to start a coffee shop because you’ve put in the work. Interview with Bryan Reynolds, Co-Founder and CEO of Anthem Coffee & Tea. While we can’t help you win the lottery or find a wealthy uncle to fund your business, the good news is most coffee shop owners were in the exact spot you at right now. Most successful coffee shop owners didn’t have the money needed to start a business either. Instead they asked themselves if there were other ways to start the business even if they didn’t have the money right now. If you don’t have the money or experience to start the coffee shop of your dreams just yet, don’t worry. Instead follow this four step plan that will allow you to become a person that can operate a successful coffee shop.